Budweiser Beer, used in all Army and Navy hospitals throughout the world. Is a sure remedy and preventative for wasting and nervous diseases. It assists nature by supplying a gentle stimulant and a pure food in an easily assimilated form, thus curing indigestion and all its attendant stomach troubles by removing the cause. Is prescribed by physicians. 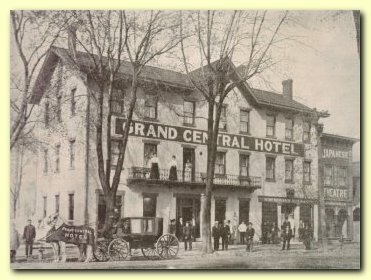 The Grand Central Hotel was opened January 1, 1908, with R. W. Burnham as proprietor, and Col. W. S. Squires, manager. It is a large substantial brick structure three-stories in height, having 60 well-lighted, airy, beautifully furnished rooms, large parlor, spacious office, telephone booths, bar, barber shop, hot and cold water throughout, elegant bath rooms, billiard parlor, large and elegant appointed dining room, sale stable and sale yards connected. Here you will find every convenience, every comfort, every luxury. The table is supplied with the best in the market. The milk, butter and eggs coming daily from the Grand Central's famous vegetable and stock farm. 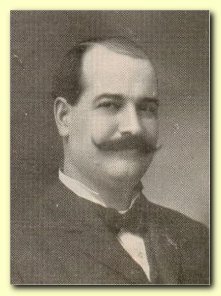 One of the features of the hotel is the famous Horseman's Exchange, where you may not only be posted on horse sales and prices, but quench your thirst with the famous Anheuser-Busch Budweiser beer, in which beverage Mr. R. W. Burnham, the proprietor, is sole agent. This hotel is fire, tornado and burglar proof, has its own sanitary and water system, supplying its guests with water drawn from wells three thousand feet deep. Free carriages to and from all trains and to all parts of the city.